SOTO Cableway and Cable Clip keep technology, power and charging cables in place and off the floor, managing power for a clean aesthetic. 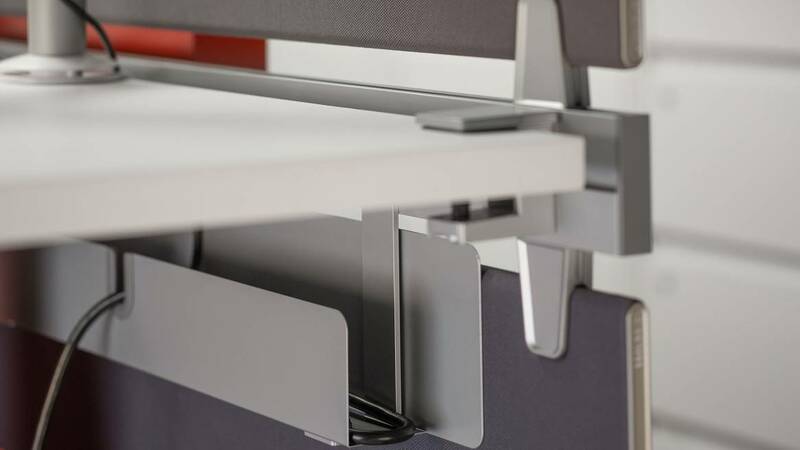 Easily integrated with both the SOTO rail and c:scape personal screen. 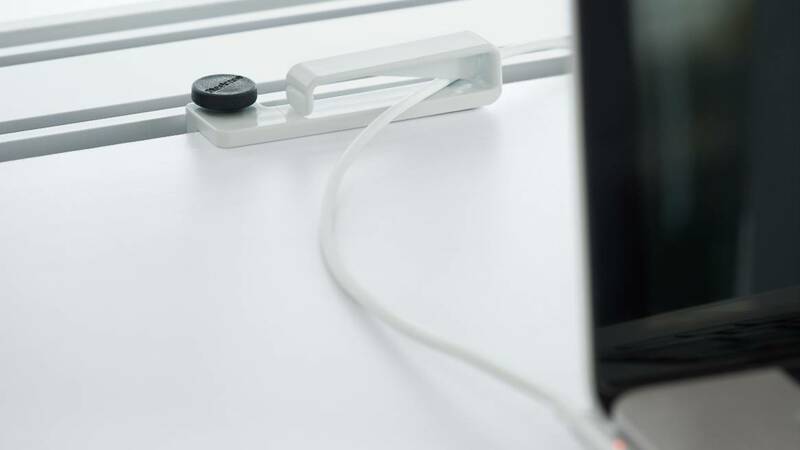 Keeps workspace free of stray cords, managing power at worksurface height for a clean aesthetic. A center grommet provides a protected area for cables to enter and exit the workspace. Keep technology, power and charging cables in place and off the floor. Can be clamped to most worksurface edges.